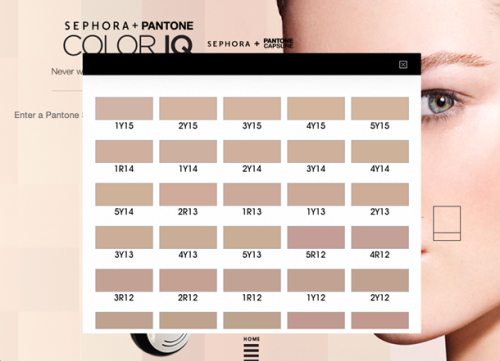 Finding the perfect Foundation shade can be a struggle, but Sephora’s NEW Pantone Colour IQ makes things a little easier! We have some exciting news to share with all of you! Sephora has figured an almost foolproof way to find the perfect foundation shade and it’s called the “Pantone Color IQ”. If you’ve tried it, you can attest to how well it works. Yet, we cringe at the thought of standing in unflattering lighting in hopes of finding a new “perfect shade”. We definitely advocate for using make-up to enhance your natural features or to use on the days where you feel you may need a little extra help. 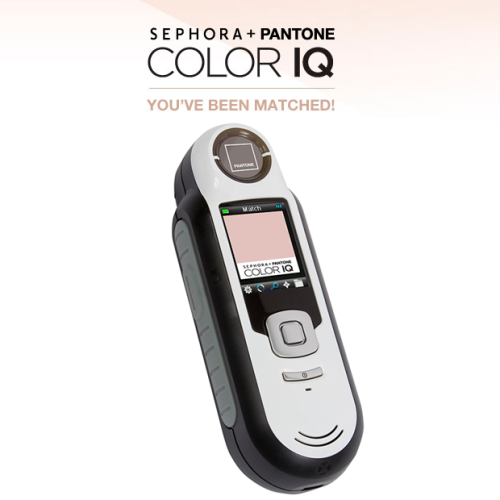 The “Pantone Colour IQ” is a small device that’s used to scan three different spots on your face; cheek, forehead, and neck. After about thirty seconds it comes up with a code that is specific to your exact skin colour. A list develops of all the potential brands you can choose from with your exact shade. You are also able to e-mail this code to yourself at the store so you don’t have to do the “Color IQ” test every time. 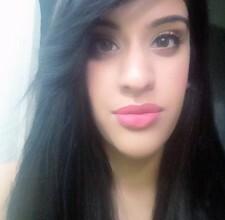 BYOBF Network’s Avi Gill, was able to pick out a new foundation, and admits it matches her skin perfectly. The new Sephora in the Guilford Town Centre makes it easier for those of us that live closer to Surrey and in need of some help in the make-up department. Avi definitely recommends that if any of you are in the market for a new foundation, to try out the “Pantone Color IQ” and see if it works for you! Also, Sephora is widely known for their amazing return policy if you are unsure or unhappy with the product you take home. And don’t forget, Sephora also offers samples on most of the items they sell so don’t be afraid to try out a few before purchasing. Happy Shopping!